Say goodbye to tooth loss when you get dental implants in Alexandria, VA.
Are you an adult dealing with tooth loss? If so, then your thoughts may have turned to whether or not dental implants are the best way to replace your missing tooth or teeth. Countless adults of all ages have been able to get a full smile back thanks to dental implants and you could be next. A dental implant is a small metal post that our Alexandria, VA, cosmetic dentist Dr. George Solier will surgically place into the jawbone to provide a strong, long-term foundation from which to support a false tooth. A Consultation: Before you can get dental implants, our Alexandria, VA, dentist will need to make sure that you are healthy enough for this treatment. After all, a lot goes into getting implants and we need to make sure you are a good candidate for implants. A consultation involves a comprehensive oral exam to check the health of your teeth and gums. Any issues such as decay will need to be treated before getting implants. We will also perform X-rays to check the health of your jawbone to make sure that it’s strong enough to support a dental implant. 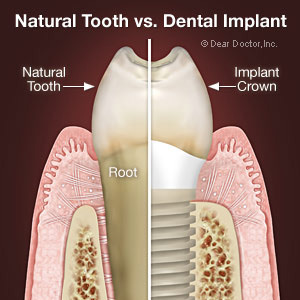 Implant Placement: Implant surgery is minor and performed right here in our office. During the surgery, our dentist will drill a small hole into the jawbone, where the implant will be placed. After the implant is placed we will stitch the gums back up. 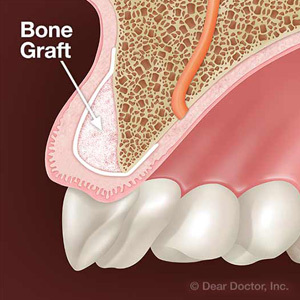 Osseointegration: After the implant is placed, we will give your mouth several months to heal. During this healing phase a naturally occurring phenomenon known as osseointegration will occur. This is when the jawbone and the implant fuse together. 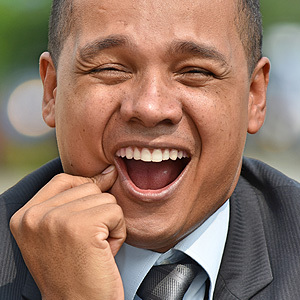 This occurs because the implant is made from titanium, which is biocompatible; therefore, the jawbone and gum tissue respond to the titanium implant as if it were just another part of the mouth. The result is a long-term restoration within the jawbone. Abutment Placement: Depending on the implant you get, we may need you to come back in so that we can place a structure known as an abutment on top of the implant. Some implants have this structure already built-in; however, if your implant doesn’t, then our dentist will need to open up the gums and attach the abutment. The abutment is used to connect the implant with the false tooth. 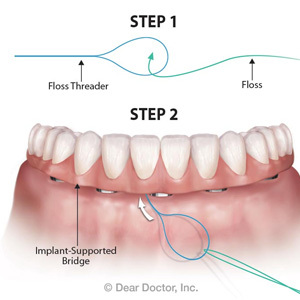 Artificial Tooth Placement: If you are getting a single dental implant, then we will place a custom-made dental crown over the abutment to complete the restoration. Those who are missing several or an entire row of teeth will have several implants placed along the jawbone to support dentures. If you are dealing with tooth loss in Alexandria, VA, and want to find out if dental implants are right for you then call our dental office today to schedule a consultation with us.